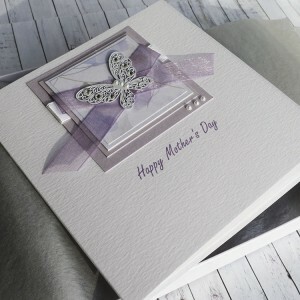 Our beautiful Mother's Day cards are all handmade using quality cards, papers, luxurious satin ribbons, pretty butterflies and sparkly Swarovski gems! 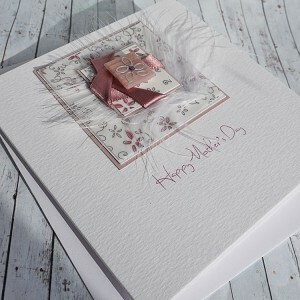 Choose from a selection of cards presented in a box, lined with tissue paper and wrapped with a satin ribbon, or our other luxury cards supplied with a crisp white envelope. 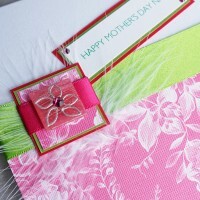 Boxed Mother's Day Card "Lime & Pink Flowers"
Luxury Boxed Handmade Mother's Day Card "Lime & Pink Flowers" Mother's Day card for Mum, ..
Boxed Mother's Day Card "Vintage Daisies"
Luxury Boxed Handmade Mother's Day Card "Vintage Daisies" Mother's Day card for Mum, Nan, Gra..
Boxed Mother's Day Card "Lustre"
Luxury Boxed Handmade Mother's Day Card "Lustre" Mother's Day card for Mum, Nan, Gran with a ..
Boxed Mother's Day Card "Silver & Black Butterfly"
Personalised Boxed Handmade Mother's Day Card "Silver & Black Butterfly" An pretty mother.. 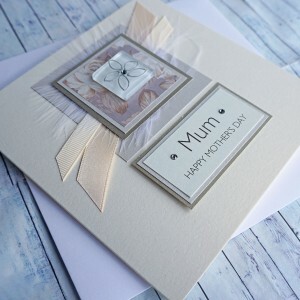 Twisted Ribbons Mother's Day Card - large A pretty mothers day card with a hand painted ..
Boxed Mother's Day Card "Twisted Ribbons"
Personalised Boxed Handmade Mother's Day Card "Twisted Ribbons" A pretty mothers day car.. 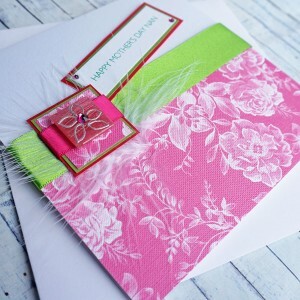 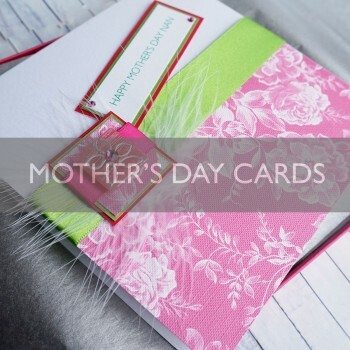 Mother's Day Card "Lime & Pink Flowers"
Luxury Mother's Day Card "Lime & Pink Flowers" Mother's Day card for Mum, Nan, Gran with .. 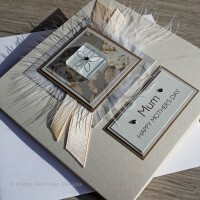 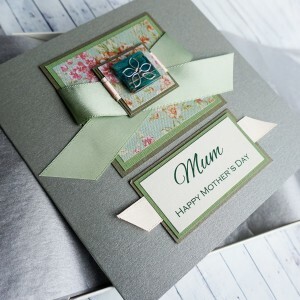 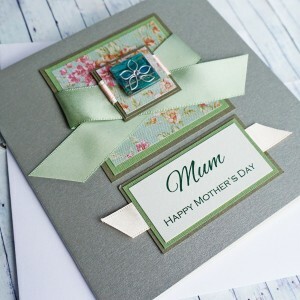 Luxury Mother's Day Card "Lustre" Mother's Day card for Mum, Nan, Gran with a daisy hand pain.. 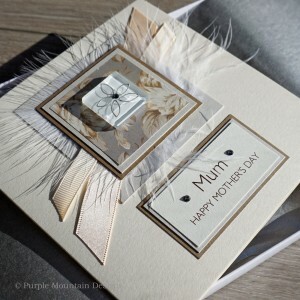 Mother's Day Card "Vintage Daisy"
Luxury Mother's Day Card "Vintage Daisy" Mother's Day card for Mum, Nan, Gran with a daisy ha.. 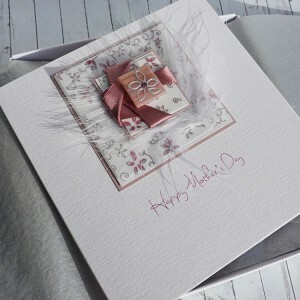 Handmade Mother's Day Card "Twisted Ribbon"
Luxury Handmade Mother's Day Card "Twisted Ribbon" An elegant design featuring a hand-painted.. 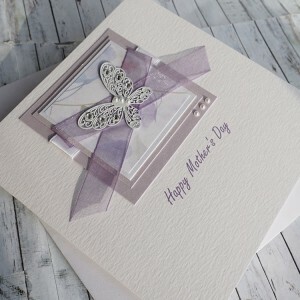 Luxury Handmade Mother's Day Card "Lilac Butterflies" An elegant design featuring a white met.. 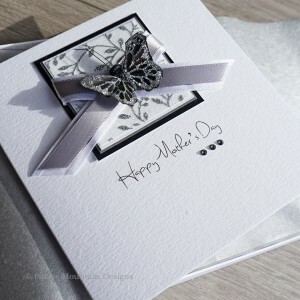 Handmade Mother's Day Card "Glass Butterfly"
Handmade Mother's Day Card "Glass Butterfly" Hand painted silver butterfly on a glass tile, m..